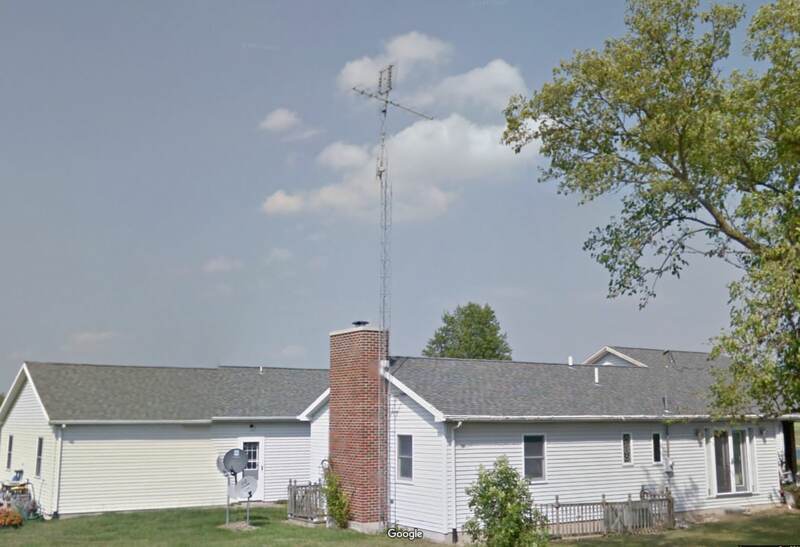 I was traveling up in northern rural Ohio last week and I noticed that about 90% of the homes there have OTA antennas. Kuddos to them. Also, most of them had the setup like the stock photo below. Just looking for some educating. 2: If for multiple direction reception then why are they 2 different styles? It just really intrigued me after seeing so many homes with this type of setup. Got me thinking about my setup and being able to receive channels from multiple directions possibly. Thanks for the interesting photo. What city in northern rural Ohio? I want to look at a signal report to see the signals. An exact address of an antenna would be even better. What is the source of the stock photo? What is the location of that stock photo antenna? Your assumption is probably correct. The style of the antenna is determined by the channels in a particular direction. It is the real channel number (also called physical channel or RF channel) that determines what antenna is needed. The virtual channel number (like 5.1 or 5-1) is a holdover from the analog TV days to maintain the identity of the station, and is what the TV displays. By convention, the virtual channel number is given in the decimal form to keep it from being confused with the real channel number. The upper antenna is a DIY antenna called a Gray-Hoverman. It is designed for UHF channels, but has two rods, one at the top and one at the bottom. They are called NARODS that enable the antenna to also receive VHF-High channels. The lower antenna is factory made and covers all three TV bands: UHF, VHF-High, and VHF-Low. Sometimes using a splitter in reverse as a combiner works, sometimes not. You just have to try it. If you don't have all the channels after combining that you had when the antennas were separate, that simple method of combining doesn't work for you. If you see many homes in the same area with a similar antenna system, it is because they all have a similar reception problem in that area. The solution for your location depends upon what channels you want and their direction. Last edited by rabbit73; 28-Oct-2018 at 5:59 PM. I do not have an exact address. But everywhere I went in Defiance Ohio had similar setups to the one pictured. The stock photo is just something I found on the internet that looked like the ones I saw there. Style may be different but the top antenna on most of the masts had the flat rectangular style. I went onto Google Maps and went to street view to search the houses in the rural area of Defiance Ohio. The picture below is representative of a LOT of homes there. This one I found is on 21123 Township Hwy 30 in Defiance. Looks like they really like TV with the 2 antennas and 2 satellite dishes. The situation for you in White Hiuse TN is very different than Ohio. You have stations on VHF low, VHF high, and UHF; all of which arrive in roughly the same direction. The Channel Master antenna that you considered in 2016 was a good choice. If you want to add another channel, let’s consider WBKO on channel 13 aimed NNE. 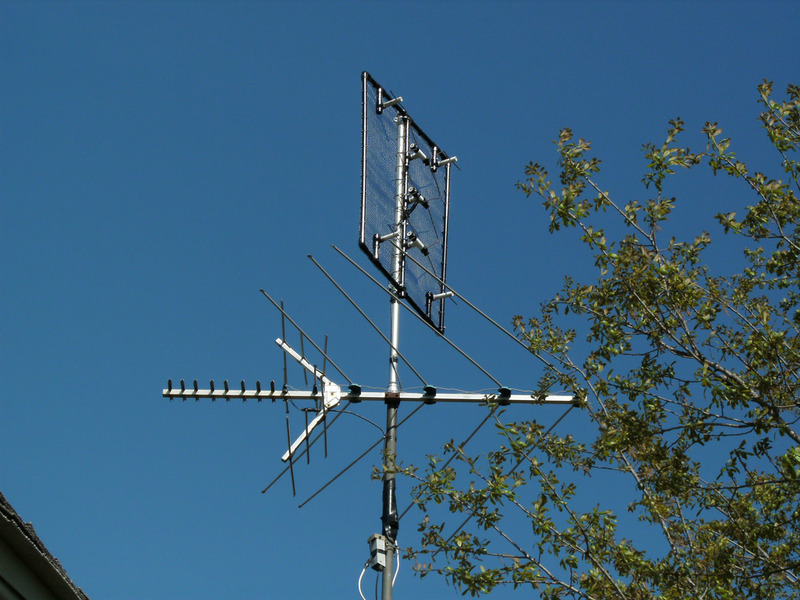 Let’s say you bought a Stellar Labs VHF only antenna to add to your all channel antenna. If you tried to add it to your all channel antenna using a backwards splitter I’d expect it to interfere with some of your existing reception, especially WSMV on channel 10. JoeAZ’s suggestion of an external tuner is good for one TV set. If you want more than one you can try a few tricks to add the two antennas together. A simple solution is to find a used Channel Master Jointenna tuned to channel 13. An expensive solution is to get Tinlee to make a special combiner. If you are interested I can describe a way to combine the two antennas using a preamp, a UVSJ, a type F tee connector, a 2 way splitter, and a shorted piece of RG6 exactly 101” long. Hint: 101” is 8 quarter wavelengths on channel 10 and 9 quarter wavelengths on channel 13.